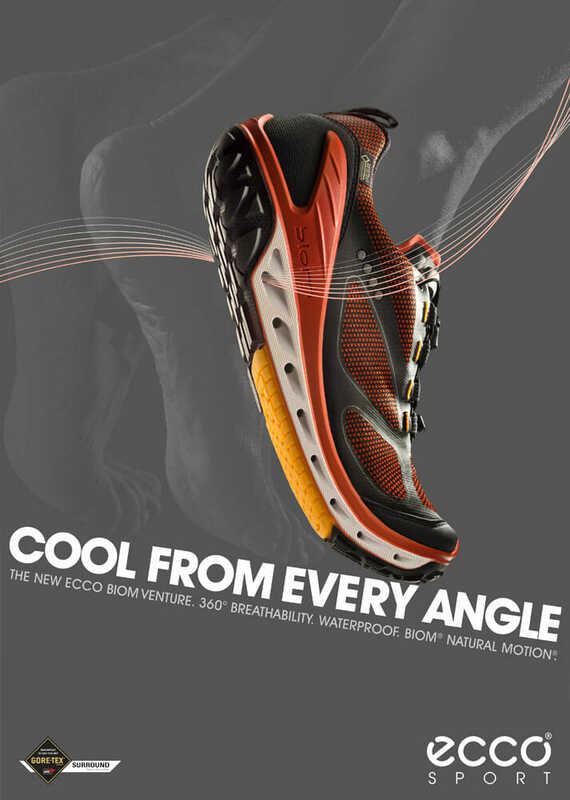 Another studio shoot for Ecco Shoes. 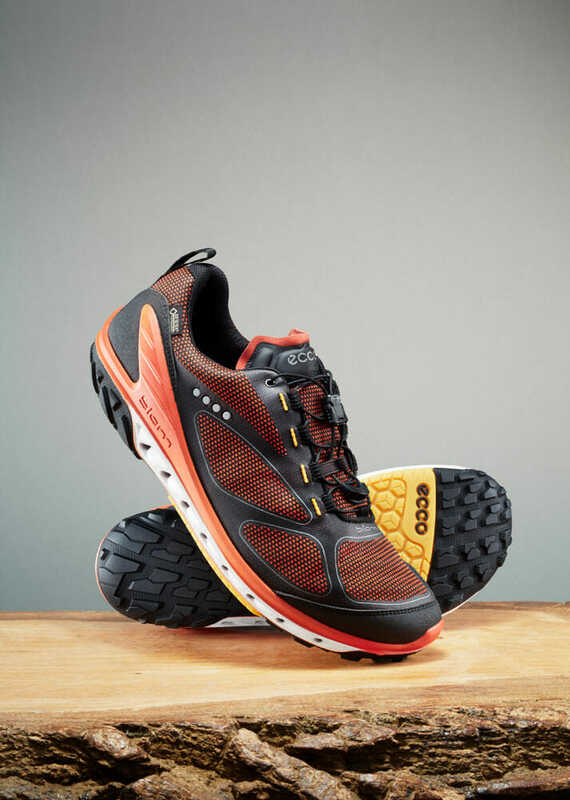 Here’s the new men’s shoe showcasing flexibility, breathability and water repelling properties. Shot over the course of a day, with a phantom high speed camera and motion control, we recreated an outdoor path and wet weather (it’s for the UK market after all!) and shot this stylised film. We only had one shoe to use as it was, at the time, a prototype – so the heat from the lights had to be carefully managed for fear of melting the only shoe we had! Additionally, there were stills shot for the print campaign as below.